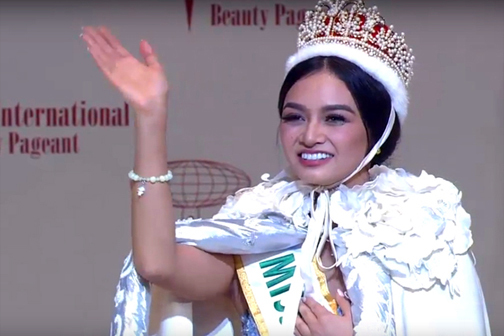 Kylie Versoza, a 24-year-old pre-school teacher from the Philippines, was crowned Miss International 2016 at Thursday’s coronation at the Tokyo Dome. Her court includes 1st runner-up Miss Australia Alexandra Britton, 2nd runner-up Miss Indonesia Felicia Hwang, 3rd runner-up Miss Nicaragua Brianny Chamorro, and 4th runner-up Miss USA Kaityrana Leinbach. Rounding up the top 15 semifinalists were the delegates from Finland, Japan, Mexico, El Salvador, Dominican Republic, Canada, Argentina, Russia, Thailand and Poland. In a speech after the announcement of the top 15 finalists, Verzosa spoke about her commitment to diversity and tolerance. 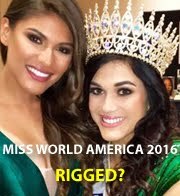 "If I become Miss International 2016, I will devote myself to cultural understanding and international understanding because I believe that it is in developing in each of us sensitivity to other cultures that we expand our horizons, tolerate difference and appreciate diversity," she said. 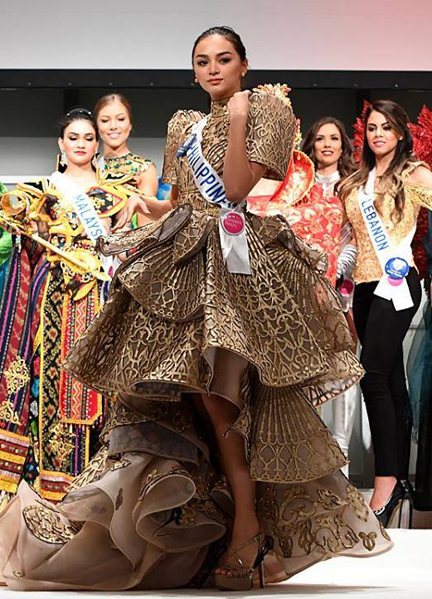 Verzosa is the sixth Filipina to bring home the Miss International crown for the Philippines, which was first won by Gemma Cruz in 1964, followed by Aurora Pijuan in 1970, Melanie Marquez in 1979, Lara Precious Quigaman in 2005, and Bea Rose Santiago in 2013.